The A303 widening is a road scheme that fails to respect the special requirements of a WHS, owing to Government demands for affordability, achievability and value for money. An enormous amount of money (some £1.4bn) is to be spent on the road ‘improvement’, most of it on the tunnel. The Government’s aim is to improve journey times to the South West to stimulate economic and housing growth. It is generally accepted, however, that increasing road capacity encourages more traffic. 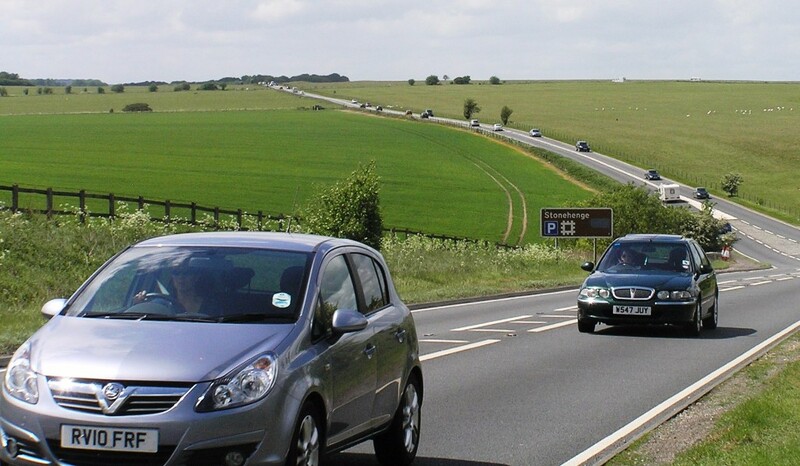 Highways England in 2014 expected the increase to be at least 20% for the A303 scheme. Traffic congestion could return in a few years. A303 widening and induced traffic would have as yet unknown impacts on the wider road network. Integrated transport for most people is either diminishing or non-existent whilst peak time congestion in local towns and cities is far worse than at Stonehenge, where queues occur mainly at weekends and holiday times, typically in July and August on a Friday between 11am and 6pm. The figure below shows typical seasonal and hourly intermittent pattern. 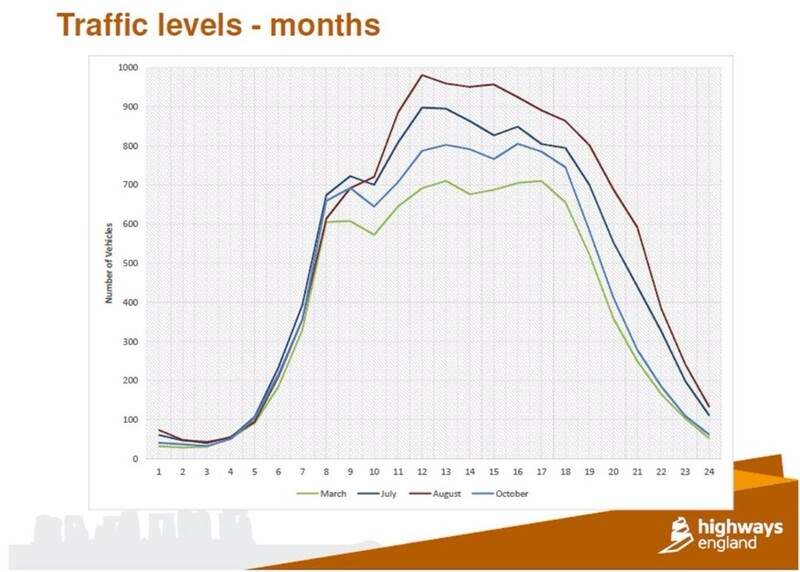 Highways England graph showing typical traffic levels by month and hour of day. The local problems of rat-running through villages could be tackled now and smart measures to discourage drivers from using the A303 at busy times could also be introduced before irreversible steps are taken to spend a fortune on irreparably damaging a WHS for seasonal and intermittent traffic problems. The widely agreed WHS Management Plan is a material consideration, its ‘vision’, below, expressing the intention to safeguard the whole WHS and its setting. Our Government should respect its own commitments, guidance and policy in dealing with a World Heritage Site, and ensure that both the site and its setting are protected from damaging road engineering.